The new exhibition will explore the photographic representation of Kalahari people known as the Ju/’hoansi and /Gwi of Namibia. 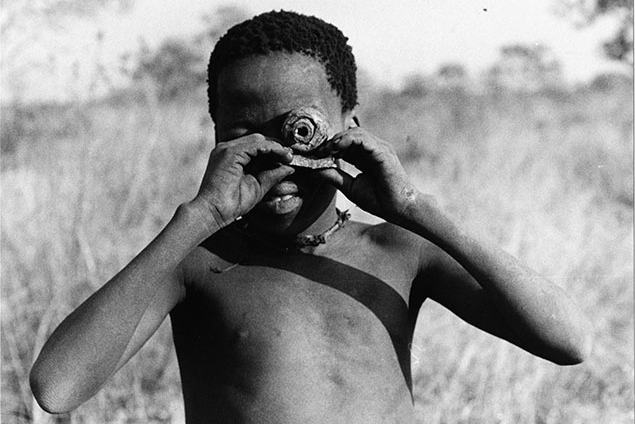 Once pejoratively called Bushmen, they have been — throughout history — photographed and otherwise imaged in an effort to exploit and colonize them. In the 1950s, the Marshall family, based in Cambridge, Massachusetts, launched an effort to document the lives of these people before they were forever transformed. Culled from over 45,000 images, Kalahari Perspectives presents a select subset of the Marshalls’ photography and guides visitors through a process of actively “reading” the images to better understand their potential to transform perception.